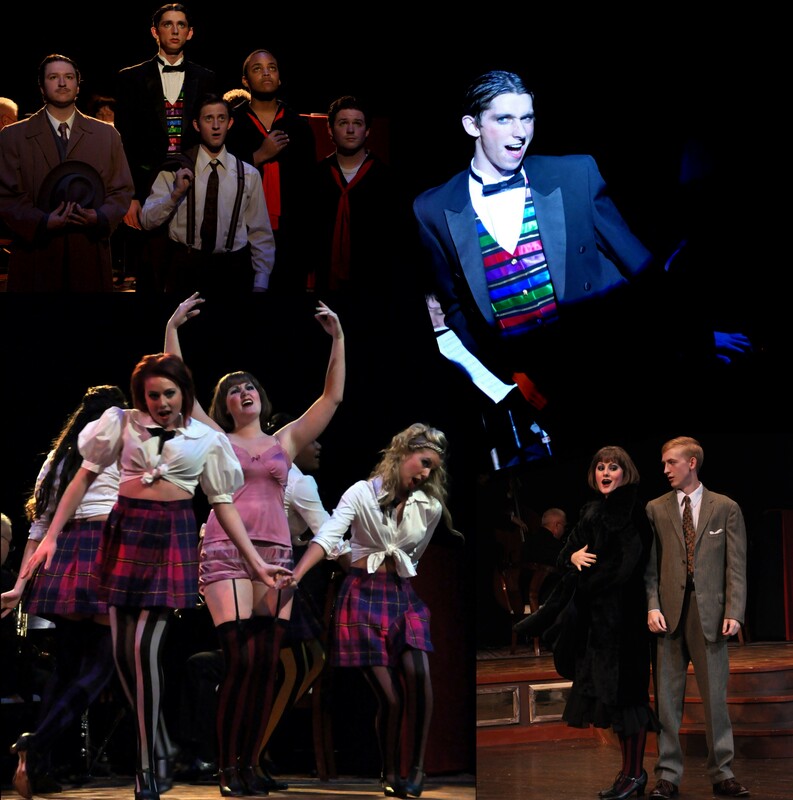 Before seeing Young Harris College’s production of Cabaret I admit I was skeptical about the show I was about to see. But, it was much better than I anticipated. All together, the performance by the cast and production of the musical blew me away. I had never seen or heard of the Black Box Theater before. So, it was a bit of a shock for me to see some my fellow classmates gallivanting about in silk underwear, fish net stockings and acting in promiscuous manner. It was later explained to me during intermission that Black Box Theater is meant for an adult audience, and the subject matter preformed there is normally rather naughty. Sally, one of the protagonists in the musical, played by Misty Barber, a senior musical theater major, in my opinion was perhaps one of the best acting performers in the production. She played the character of Sally almost flawlessly. Her vocal control and notable talent was exceptionally clear and passionate, which led me further and further into the story as the play went on. The cabaret dancers were entertaining as well. I’m sure not many would disagree. I cringed with fear at every high kick and body bending twist executed. In heels, that must not have been an easy feat. I was also impressed by the use of space. In the Black Box there were about eight doorways that gave almost full exposure to the backstage, and I noted how careful the actors were to save face when passing by. Also, the use of the balcony was creative and imaginative. It kept me wondering where the next actor would emerge, which kept me on my toes throughout the performance. Aside from only one or two stumbles in dialog, I was impressed by the performance, and I would definitely take the opportunity to see it again. Set to be held in Dobbs Theater from September 23 through October 2, tickets are $5 for students and faculty, and $15 for adults. 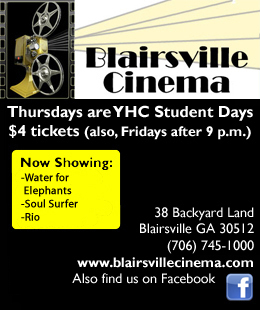 Tickets can be bought online from the Young Harris box office website, or you can call 706-379-4307. Opening night was Thursday, September 23 at 7:00 p.m. and closing night tonight, October 2 at 10:00 p.m.
Come see Cabaret. Tickets are on sell in the lobby of Goolsby Center and by phone at (706) 379-4307 or by going online at Theater Young Harris online box office. The box office is open from 3 – 5 p.m. Monday through Friday. The show runs Friday and Saturday night at 7 p.m., and Sunday at 2 p.m. Next weekend, the show runs from Thursday through Saturday at 7 p.m.